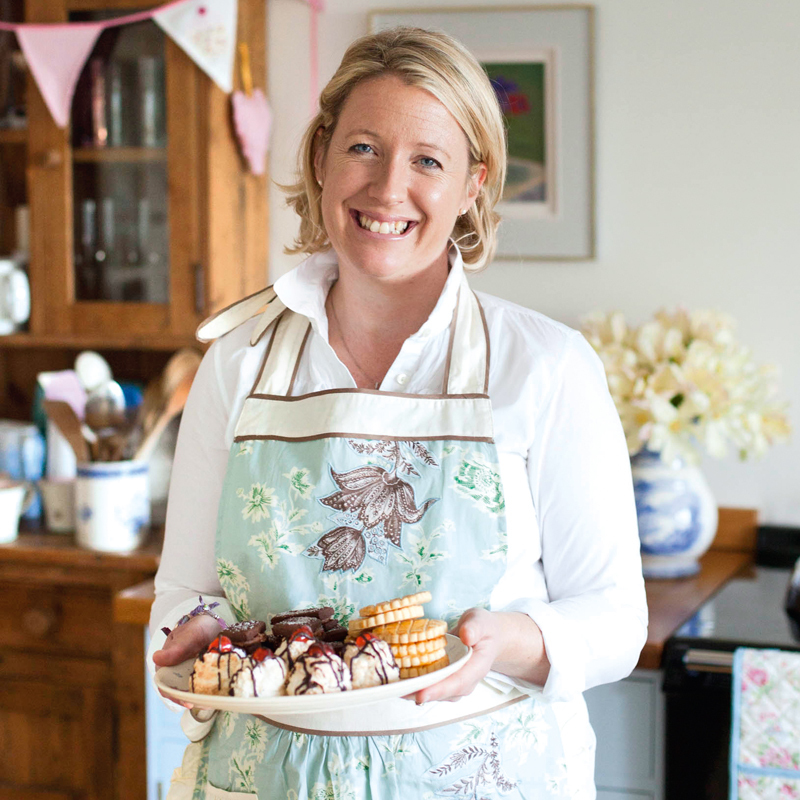 If you would like to join Miranda for one of her courses or events, or to talk about all things baking over a cup of tea and a piece of cake, then please do get in touch. Get ready for Christmas and join Miranda for some delicious recipes and fundraise for your school at the same time! Be inspired by using seasonal ingredients, homely touches and exciting twists to make an array of lovely Christmassy cakes, bakes and other treats. Impress your family and friends with homemade festive delights that are secretly simple and easy to make! All the things we love about Christmas wrapped up in one lovely morning. Munch your way through all of Miranda’s creations as she cooks and bakes, then head home after a freshly prepared lunch and glass of fizz, feeling confident that you can easily recreate everything in your own kitchen. 10.00 – 1.00 to include scrumptious homemade cake, steaming mugs of tea and coffee, a light lunch and a glass of Prosecco.